I’m the kind of person that loves every season of the year, but I also believe that some seasons overstay their welcome. I’m always giddy with anticipation when a new season is around the corner... the old is gone and the new is here! However, I tend to get sick of each season after a few months and then start counting down the days until the weather changes again. For me, a perfect world would consist of 4 equal seasons that are long enough to enjoy but short enough so that you won’t get sick of them. With each new season comes new foods that we love. 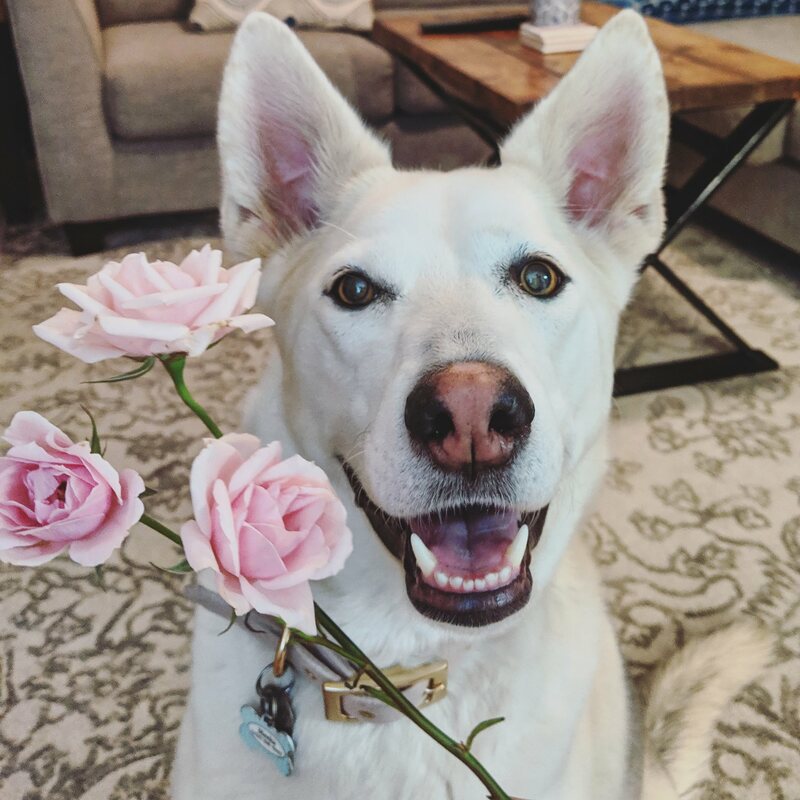 Summertime is great for watermelon, fall is the time of year for indulging in pumpkin spice, we reach for anything peppermint in the winter, and when it’s springtime we start picking berries of all types! And now that it’s finally starting to feel like spring outside, I’m buying all the strawberries I can find. 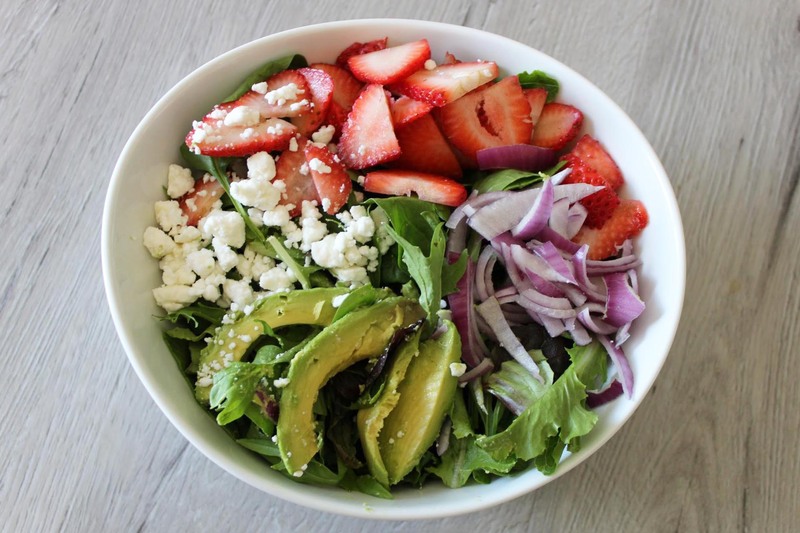 One of my favorite springtime lunches is a strawberry spinach salad. 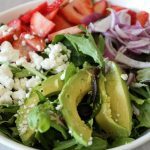 This salad is perfect because it’s refreshing and light but still has enough substance to fill you up. 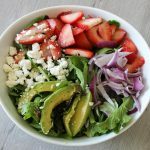 The flavors from the strawberries and honey Dijon dressing are naturally sweet but the feta cheese and red onions give it just the right amount of kick. 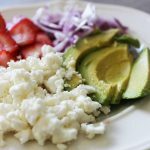 As for the avocado... well we all know that avocados make any salad taste better! 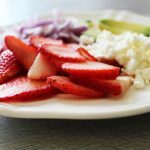 Of course you can add and subtract the amount of each ingredient in this decadent salad, I personally like adding in some extra red onions. I’ve also topped it off with a raspberry vinaigrette before if i’m in an extra-fruity mood. Are you hungry yet? Let’s get to work! Well, there’s not much to this salad! 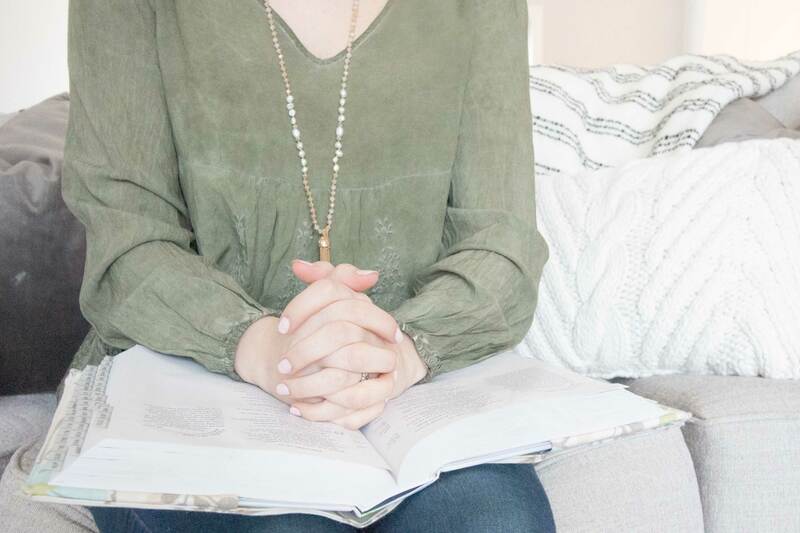 It’s so simple and easy, just another reason to love it! 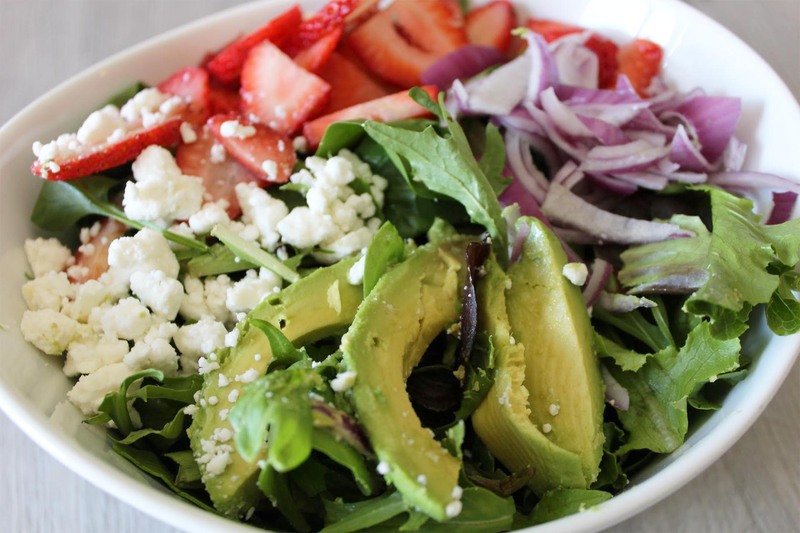 All you have to do is put the salad base of spring mix and spinach in a large bowl. 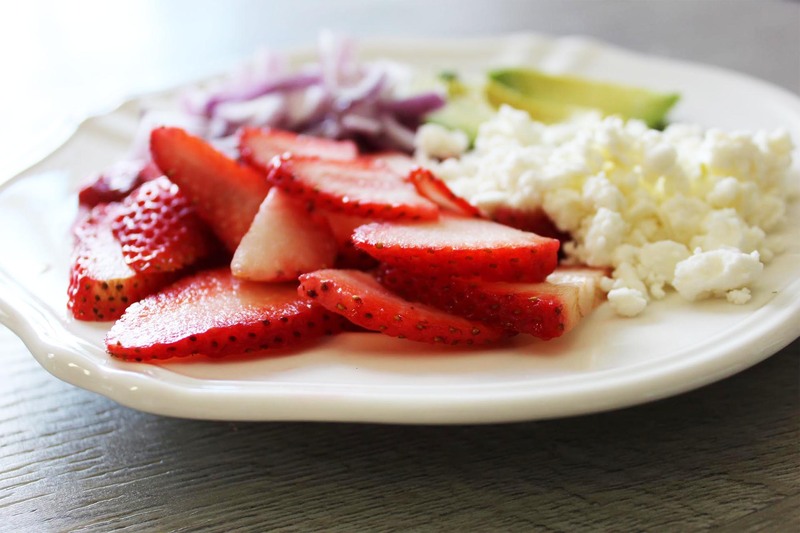 Add in your sliced red onion, crumbled feta, avocado, and cut strawberries. 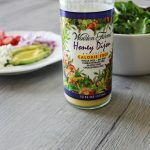 Toss your salad together and add in more spring mix if it seems to heavy. All that’s left to do now is dig in! 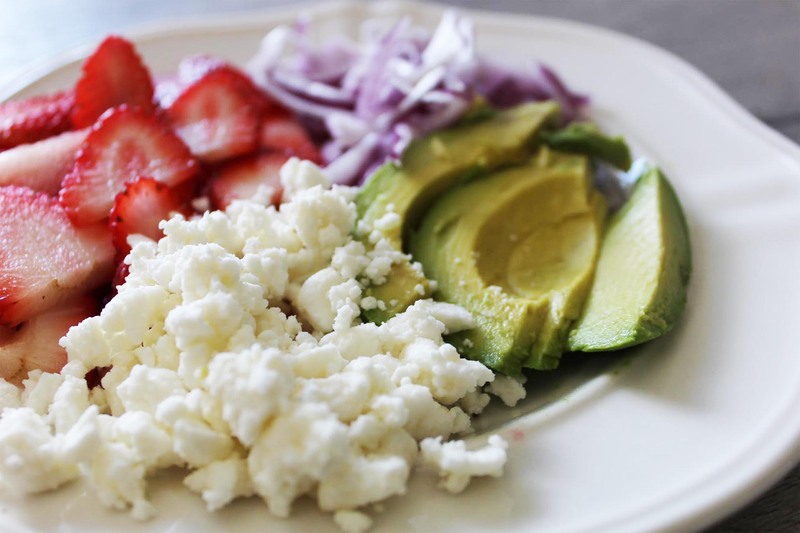 My favorite bites are the ones with strawberries, red onion, and avocado... now that’s a flavor party right there! Did you try this recipe? Let us know how it came out by commenting on this post or sending us a message! 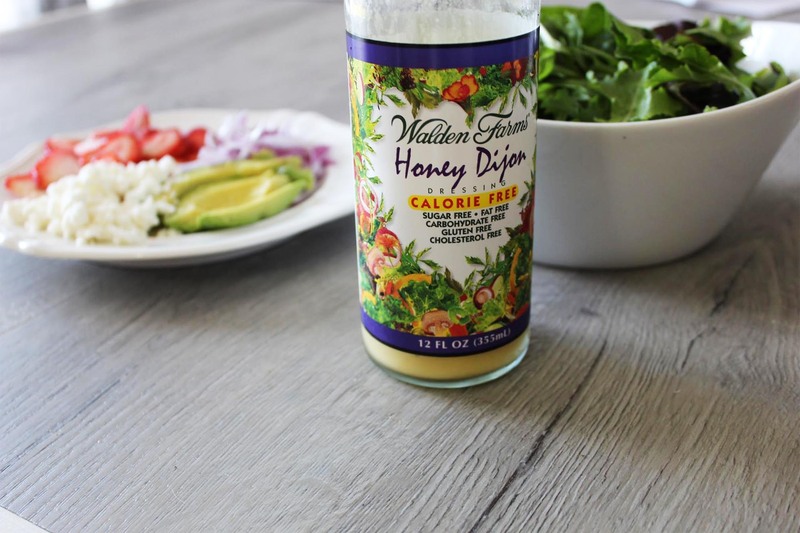 Are there any additional ingredients you added to make it even better? 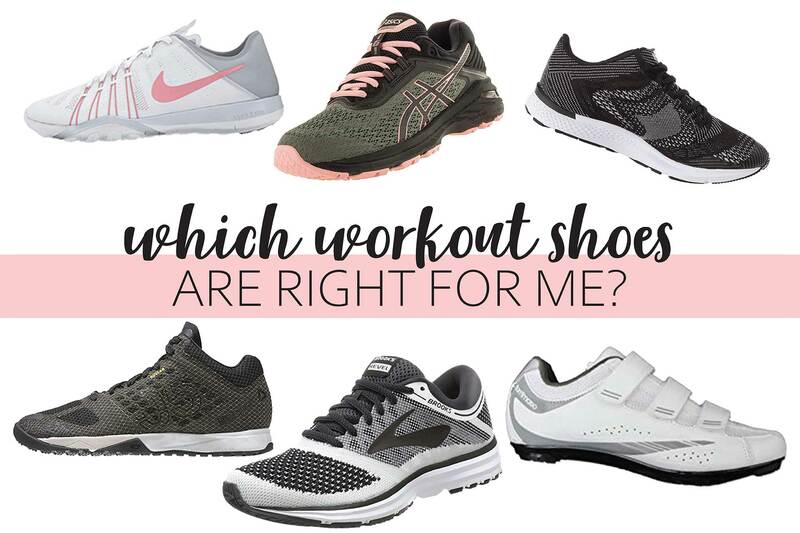 We’d love to know!